Sleep. We all need it. You can’t fight it. When your body needs sleep, it will get some! 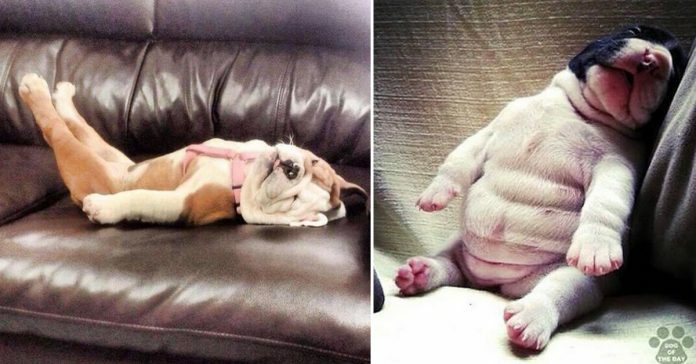 It is always fun to see dogs that seem to be imitating human behaviors – and the dogs sleeping on couches have done a good job at that! My favorite picture was the tiny black puppy that fell asleep on his human dad’s shoulder! Second fave? The sixteen puppies and dogs below had no trouble at all falling asleep. 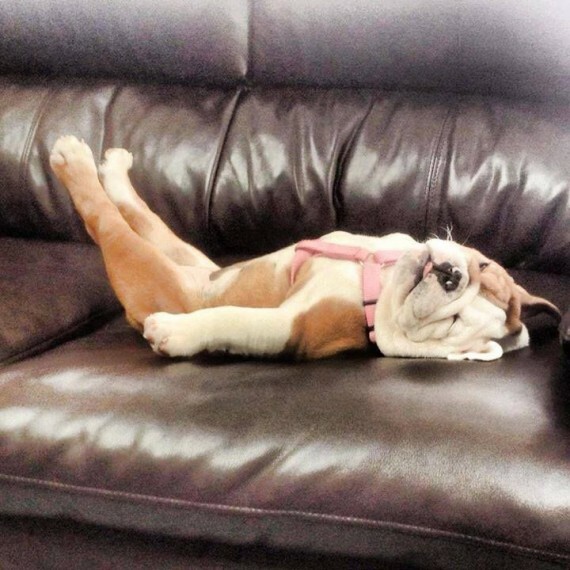 In fact, the positions they are in may make you wonder if they didn’t just fall asleep in the middle of something! Check them out and be sure to share these funny (while at the same time super cute) photos with your friends! 1. 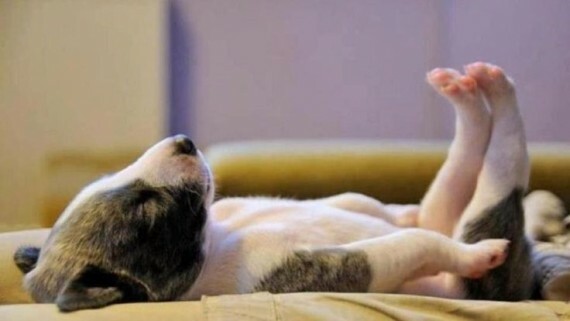 This pup who’s possible doing some dream yoga! 2. 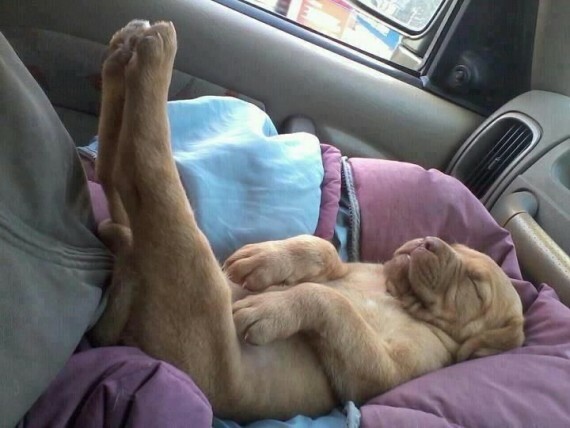 Sleeping in the car is nice, but this is plain cute! 4. This is just adorable! 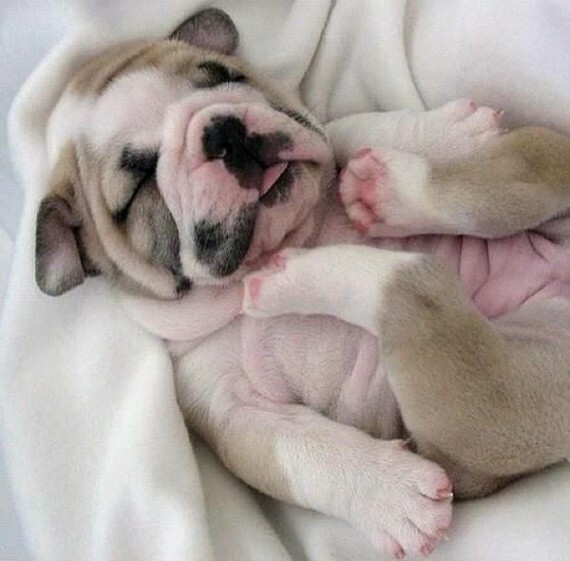 Look at his tongue!